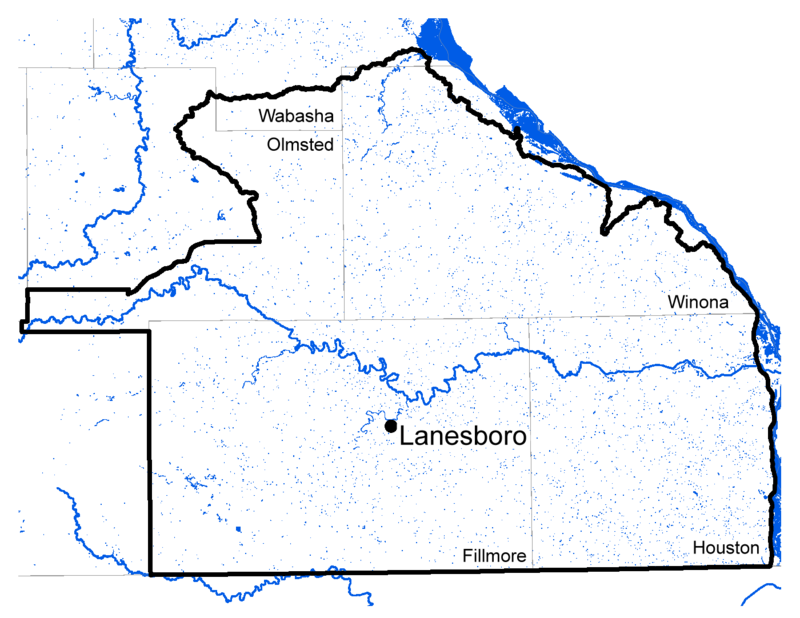 Anglers who fish in Fillmore, Houston, Winona and portions of Olmsted and Wabasha county benefit from the management, habitat and oversight work of the Minnesota Department of Natural Resources' Lanesboro area fisheries staff. Area Fisheries Supervisor Ron Benjamin and a staff of five full-time, two seasonal and one part-time employee mana ge 170 miles of bass/warm-water rivers and 600 miles of trout streams. These waters include popular fishing destinations such as the Root River, Trout Run Creek and Whitewater River. 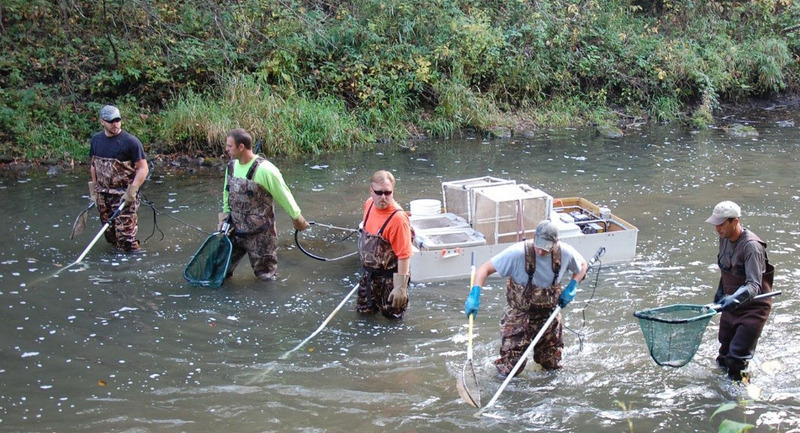 Lanesboro area fisheries biologists electro-fishing on a southeastern Minnesota trout stream. Manage more than 600 miles of trout and 170 miles of warm-water streams. Manage and monitor 175 miles angling easements and acquire multiple new angling easements to increase angling opportunities in southeastern Minnesota. Utilize professionally trained staff to improve trout habitat in 1-2 miles of streams each year. Conduct more than 80 stream surveys and population assessments to update more than 10 stream management plans along with long-term monitoring of 8 stream segments. Provide public information, education and multiple outreach programs annually. Lanesboro provides and transports fish to many southern Minnesota county fair displays. Manage a trout stocking program to re-introduce and foster the establishment of heritage strain brook trout; stock 360,000 brown trout fingerlings annually to augment area of poor natural reproduction; and stock 73,500 yearlings in small towns for anglers, especially youth and senior.